The Central European country of Croatia boasts a long and scenic coastline along the Adriatic Sea. 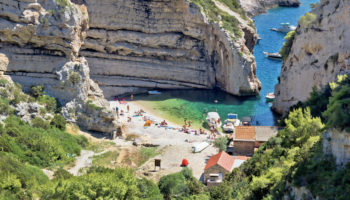 It is a top travel spot for Europeans in search of a beach getaway, and many travelers from around the world are discovering the appeal of Croatia’s coast. 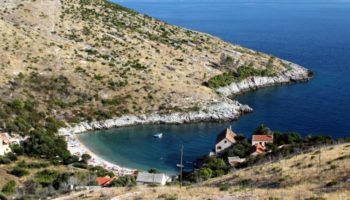 As a result, there are lots of fantastic beach resorts to choose from in Croatia. Many offer access to the Adriatic, excellent amenities and breathtaking views. 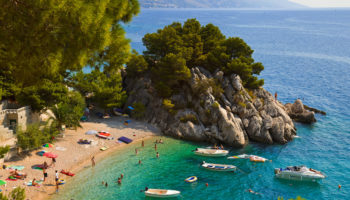 If you’re planning an upcoming beach getaway, choose one of these stunning beach resorts in Croatia for a luxurious and memorable experience. Just minutes from the medieval city walls of Dubrovnik is the Hotel Bellevue. The hotel is located on a cliff that overlooks the Adriatic, and many of the rooms offer private glass balconies with views right onto the water. There is a private beach just for guest use, and there is also a heated indoor pool, a steam room, a hot tub and a sauna. You can enjoy fresh seafood, or you can unwind with a delicious meal at one of the two onsite restaurants found within the hotel. The Luxury Hotel Amabilis in the village of Selce is a sleek and contemporary structure that overlooks the Adriatic Sea. The rooms are chic and modern, featuring amenities like flat-screen television, wireless Internet and even upgrades like terraces or sea-view balconies. 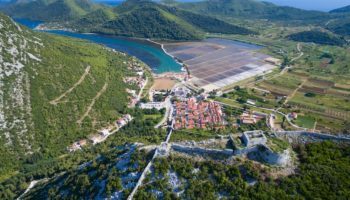 The hotel is located next to the Muzej Grada Crikvenice, and visitors can cycle or take a taxi to the nearby Crikvenica Beach. Chic Mediterranean style restaurants boast floor-to-ceiling glass to take advantage of the spectacular view. You can also enjoy fantastic amenities like bars, a fitness facility and a spectacular spa. The Hotel Excelsior is housed in a manor that dates back to 1913. Boasting views of the Adriatic as well as the Old Town of Dubrovnik, the hotel is a stunning way to step back in time. While the hotel itself boasts plenty of history and heritage, guests will enjoy modern amenities. You’ll appreciate the flat-screen televisions, designer toiletries and 24/7 room service. There’s also a private beach for exclusive guest use, three amazing eateries on the property, an indoor pool, a spa and a full fitness facility. On a private beach just a few miles from the city of Split, you’ll find Le Meridien Lav Split. 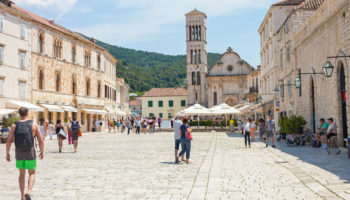 This Croatian resort is designed for upscale relaxation, and it boasts the incredible Diocletian Spa and Wellness Centre, which is packed with saunas, steam rooms, meditation rooms, a fitness center and a range of pampering treatments. If you’re excited about recreational activities, you can choose from four championship courts in the onsite Tennis Academy or sailing and scuba diving at the Water Sports Centre. 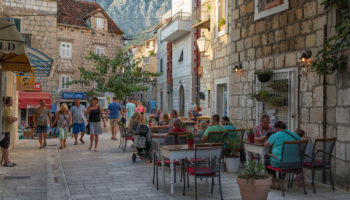 Just 20 minutes outside of the hustle and bustle of Dubrovnik is the Hotel Croatia Cavtat, which is situated on a beach overlooking the Adriatic Sea. This is an upscale hotel, and the bright white architecture is modern but with plenty of Mediterranean influences. Polished rooms offer private balconies and terraces, and some suites even include living and dining rooms as well. Guests will love dining at five private restaurants on the property, not to mention the indoor pool, two private beaches and the extensive spa facilities. 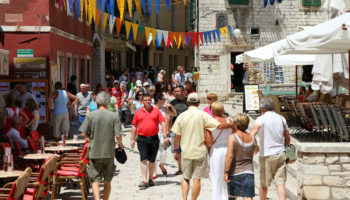 Less than a 15-minute walk from the Hvar Ferry Terminal and the Hvar Cathedral is the Amfora Hvar Grand Beach Resort. Overlooking both the Adriatic Sea and the Paklinski Islands, the resort offers breathtaking waterfront views. Rooms are stylish and contemporary, and upgraded suites offer bonuses like balconies with sea views. All guests will have access to the outdoor pool, the rooftop gym, the 1930s-themed beach club and several onsite drinking and dining options. A mere four-minute walk to the beach, the Park Plaza Verudela Pula is a large and beautiful resort. The rooms at the hotel are modern and comfortable, offering amenities like satellite television and kitchenettes. The resort is large, boasting shops, cafes and even a supermarket where you can pick up a few grocery items for your stay. You can swim in the outdoor pools, tee off at the fun minigolf course or play a game of tennis or racquetball with friends. Diving and snorkeling can also be arranged right from the hotel. 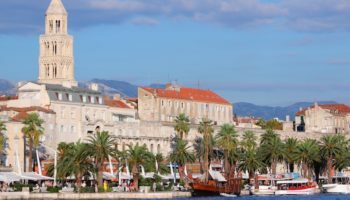 Less than a mile from the Venetian and Roman ruins in the city of Zadar is the Falkensteiner Club Funimation Borik. This resort is all-inclusive, delivering great value along with a memorable getaway experience. Bright rooms with natural sunlight are comfortable and modern, but the facilities at the hotel are the main attraction. A full spa is the perfect place to unwind, and you’ll also have access to indoor and outdoor pools, waterslides, a fitness center, tennis courts and special supervised programs for kids. The Falkensteiner Club Funimation Borik is a especially popular spot for families. This high-end resort just outside of Dubrovnik is the place to be during the summer. As a seasonal resort, the Valamar Dubrovnik President Hotel is incredibly popular during the warmer months of the year. The terraced building means that many of the rooms boast private balconies with views of the Adriatic. Beach access is just steps from your room, and there is also a gym, an indoor pool and a spa. Guests love the complimentary breakfast buffet available in the onsite restaurant, which provides sea views with your morning meal. 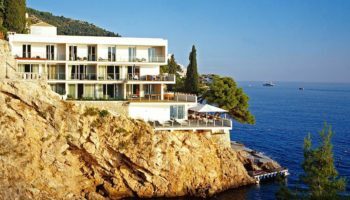 The beachfront Hotel Dubrovnik Palace is exactly what the name suggests: A modern-day palace right on the beach. The hotel is sophisticated, and the decor is tasteful and elegant. Most rooms boast balconies or terraces, and the larger rooms and suites also offer private living rooms and whirlpool tubs. Complimentary breakfast is served each morning with a sea view, and the 10th floor is home to a healthy restaurant with lots of fresh local fruits and vegetables. There is also a high-end spa, a large fitness facility and indoor as well as outdoor pools.